The Georgia Quarter Horse Association is an affiliate of AQHA. Our mission is to serve and promote our members and the American Quarter Horse Industry. We are committed to providing equal and fair opportunities for all levels of competition as well as participation in recreational and educational activities. Whatever your interest in the American Quarter Horse, we welcome you! More information and forms coming soon! The GQHA Crisis Fund was created to assist GQHA members in time of need. Assistance awarded from crisis funding will be based on proven financial need arising from sudden and demonstrable hardship or disaster of a severe and unexpected nature or from serious physical illness. Click here to learn more about the program. 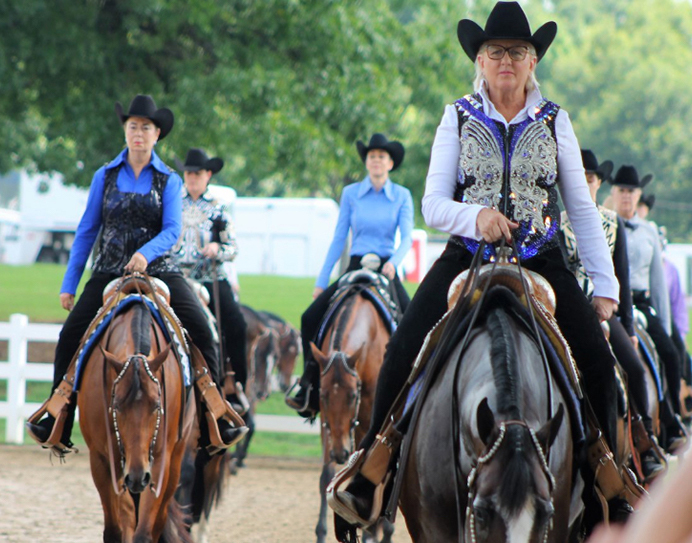 When entering American Quarter Horse Association classes, AQHA exhibitors are required to provide proof of their level eligibility to show management. Exhibitors must print their level eligibility, or save a copy to their phone to give to show management. To determine your level eligibility, visit the AQHA leveling verification system. Or contact Misty Mobley at mistymobley79@gmail.com. All proceeds are shared between the youth of Georgia Quarter Horse Association & Horseman’s Quarter Horse Association.